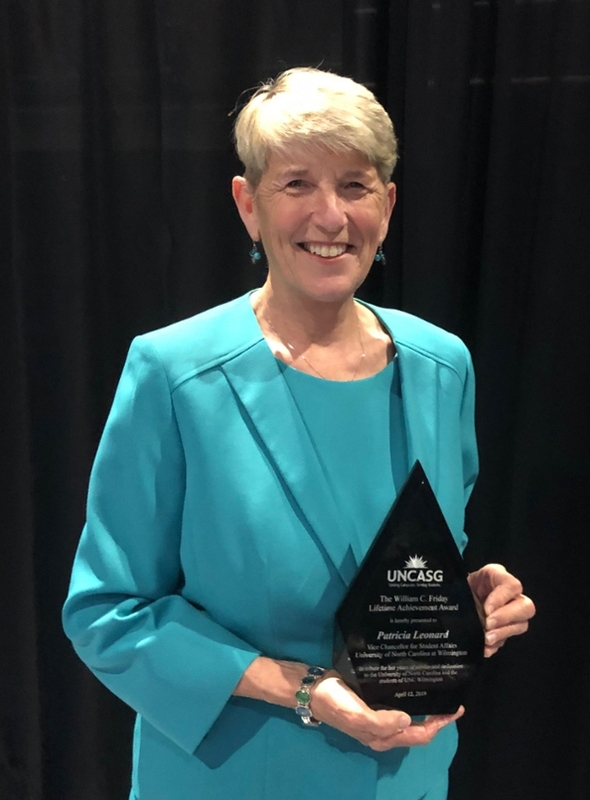 UNCW Vice Chancellor for Student Affairs Pat Leonard is this year’s recipient of the prestigious William C. Friday Lifetime Achievement Award. The award, presented by the University of North Carolina Association of Student Governments, is given to individuals who have exhibited exemplary service to students of a UNC System institution. The association presented the award April 12 at North Carolina Central University in Durham. The lifetime achievement award was established in 2010 and is named for William “Bill” Friday, the first and longest-serving president of the consolidated UNC System, and a pivotal figure in public education in North Carolina. UNCW Student Body President Cole Tillett nominated Leonard for the award. Leonard first joined UNCW in July 1983 as the associate dean of students after holding posts at UNC Charlotte and Miami University of Ohio. 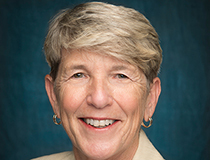 Under her leadership, she has overseen the renovation and construction of more than 20 campus facilities and grounds projects, including the new multi-million dollar student housing complex that is currently under construction. During Hurricane Florence, Leonard and her team were instrumental in facilitating recovery efforts. She was recently appointed by the NC Governor to serve on the North Carolina State Health Coordinating Council. In 2013, she received the John Jones Award for Outstanding Performance as a Senior Student Affairs Officer. 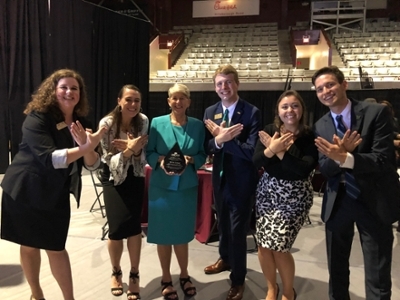 The award is given annually by the NASPA Foundation, the leading association for the advancement, health and sustainability of the student affairs profession. UNCW Student Body President and other Seahawks following the award ceremony.